To ring in the new year, I read a new biography of Leslie Cheung, the Hong Kong-based superstar who starred in some of my favorite movies, such as Farewell, My Concubine (dir. Chen Kaige), A Better Tomorrow (dir. John Woo), and Days of Being Wild (dir. Wong Kar-wai). 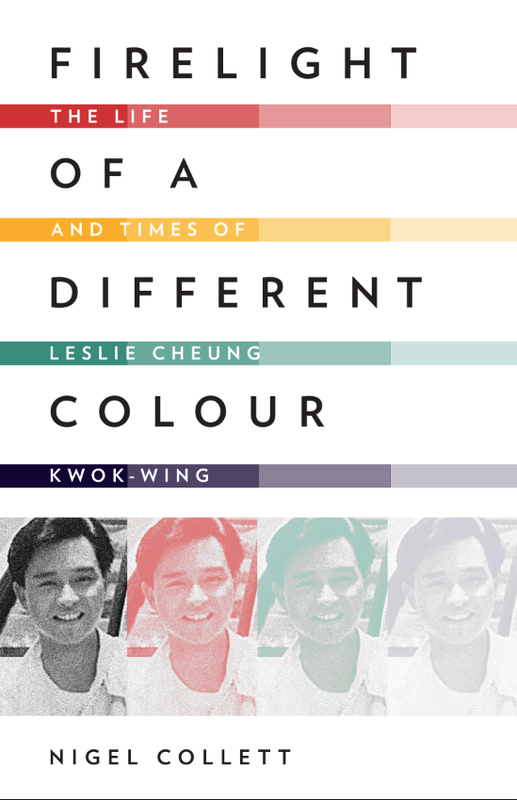 Firelight of a Different Colour: The Life and Times of Leslie Cheung Kwok-wing (Signal 8 Press, 2014) by Nigel Collett is a thorough account of Leslie’s short life. He committed suicide in 2003 at the age of 46. The bulk of the book covers the years I lived in Hong Kong, so it was like traveling back in time. 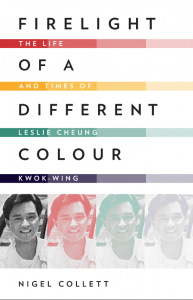 Collett covers the evolution of the Cantopop scene in Hong Kong, as well as the movie industry there, and how Leslie was so integral to both. It also shows how difficult it was to be a superstar in a city where people were expected to conform. The Hong Kong media hounded Leslie and his long-term partner, Daffy Tong, for years. The couple moved to Vancouver for a spell in the early 1990s, but Leslie’s life was in Hong Kong and he couldn’t stay away for long. Nigel Collett captures a special time in Hong Kong’s entertainment industry. Leslie Cheung was central to that era.